Kick off your last day of freedom with an experience like no other – the York zorb football stag do. 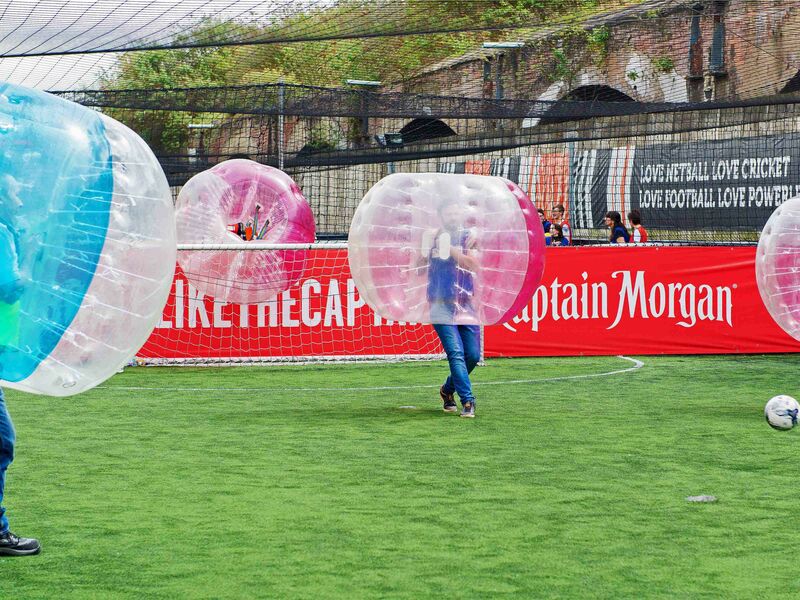 Find yourself flying across the pitch as you tackle a classic 5 a side game whilst your upper body is wrapped in an inflatable bubble. 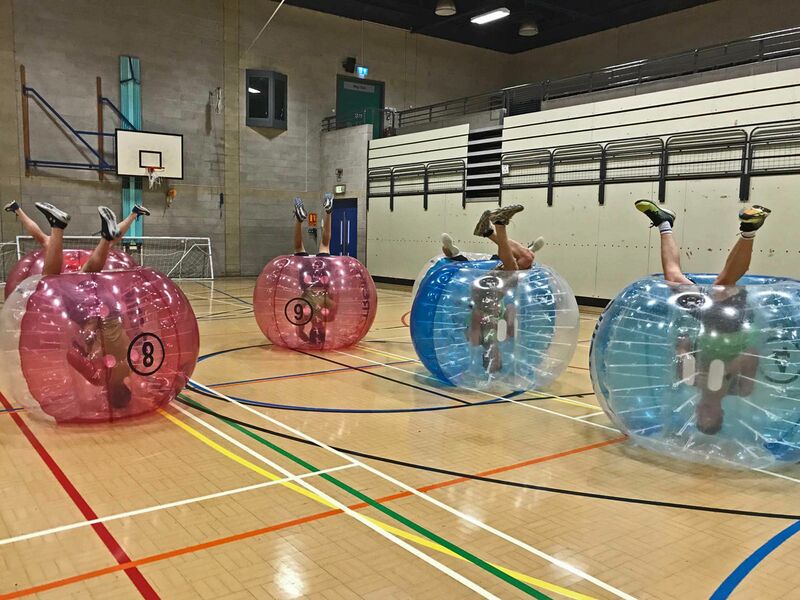 A great option for small or large groups, you and your mates will surely struggle to get the goals in without rolling on the floor in laughter! Because York is known as the city of history, it’s hard to believe that this hilarious activity could take place in the centre of all that architecture and be perfect for stag parties. 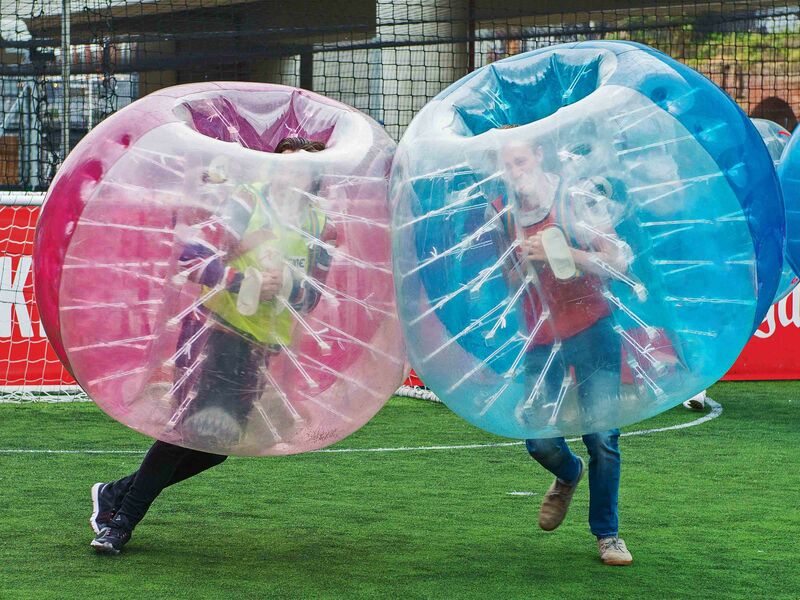 When you arrive on the day of your York stag do bubble football, an events co-ordinator will be ready and waiting to kick off the 5 a side game and crown the king of zorbing. 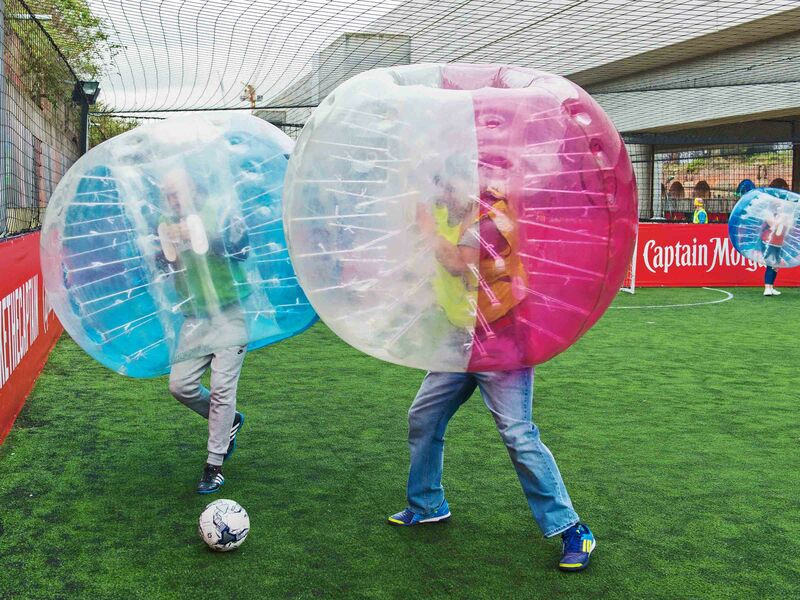 As well as football, you’ll also get the chance to use the giant inflatable hamster balls in different ways with mini games like Last Man Standing and Bulldog. Even better still, everything you use on the day will be provided for you, so all you and the guys need to worry about is turning up and avoiding any losing forfeits for the stag night out later! 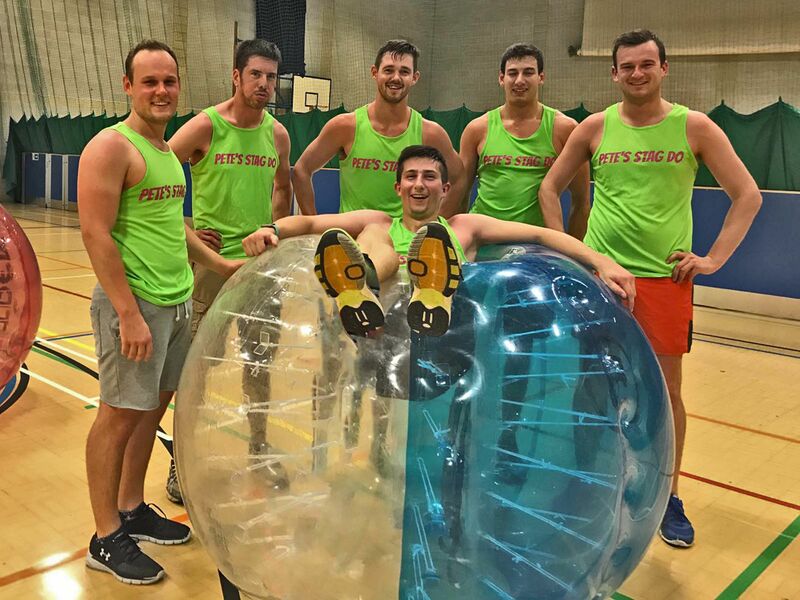 Most of our York zorb football stag do venues will have changing facilities on hand so you can get straight out of your sweaty clothes and straight into the party mood. If you simply can’t wait to have your first stag do pint, then indulge in a few prinks at the small bar that most of our zorbing venues offer and toast to the winners (and the losers) of the day. 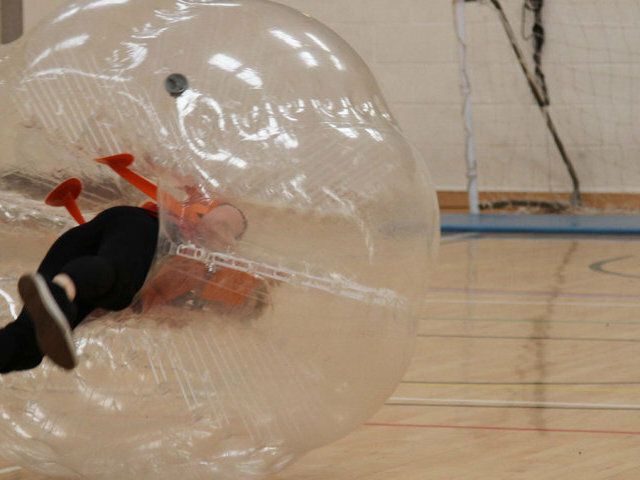 When you’ve finally stopped belly laughing at the York stag do bubble football, grab a taxi and take a short ride to some of the quirkiest pubs, bars and clubs the UK has to offer – all a short ride away from your activity and the city centre. A challenging & fun 2 night York Zorb football stag weekend offering a helpful local bar guide, Zorb football ­activity ­and nightclub ­entry.